Starting today, residential customers in Abilene and San Angelo, Texas, can get our High-Speed Internet MAX 107.0 service. MAX 107.0 features a download speed up to 107 megabits per second (Mbps) and an upload speed up to 5 Mbps, the fastest residential service in these communities. MAX 107 service was first launched in the Georgetown, Pflugerville and Leander, Texas, area. Subsequently, MAX 107.0 was introduced in Tyler, Whitehouse, Amarillo, Tulia, Lubbock, Post, Shallowater, and Wolfforth, Texas, and in Gallia, Meigs (Ohio), Mason and Jackson (West Virginia) counties. Later, the service was rolled out in Midland, Texas, Bossier City (including Barksdale Air Force Base), Haughton, Lake Charles and Sulphur, La., Nixa and Ozark, Mo., Conroe and Lake Conroe, Texas, Bryan-College Station, Texas, in several West Virginia counties, including the majority of Boone, Cabell, Putnam and Kanawha counties, plus Jackson, Pleasants, Wetzel, Wirt, Washington and Wood counties, and in Rocky Mount, N.C. Recently, MAX 107.0 was introduced in Batesville and Pocahontas, Ark., and Grambling, Natchitoches and Ruston, La. Disney/Pixar animated comedy “Monster University” is now available through Suddenlink On Demand. Prequel to the “Monsters Inc.” movie, the film looks at how two mismatched monsters – Mike (voiced by Billy Crystal) and Sully (John Goodman) – met in college and became lifelong friends. Tomorrow night, the two best mixed martial arts heavyweights meet for the third time to settle the score at UFC 166. Champion Cain Velasquez defends his title against knockout artist Junior Dos Santos, available live from Houston, Texas, at 8 p.m. CT on pay-per-view (PPV) from Suddenlink. Other matches on the main card include Roy Nelson vs. Daniel Cormier, Gilbert Melendez vs. Diego Sanchez, Gabriel Gonzaga vs. Shawn Jordan and John Dodson vs. Darrell Montague. This event is available only to residential, non-commercial customers, at a price of $44.99 ($54.99 in high-definition format where available), which excludes taxes, fees, and equipment charges. The event requires a digital set-top box (receiver) and is available only in areas where Suddenlink offers PPV. Other restrictions may apply. Residential orders can be placed using a digital remote or by calling 877-694-9474 for more information. Four preliminary matches will be broadcast live on Fox Sports 1, which is available to most Suddenlink customers who have what is commonly known as Expanded Basic TV service. 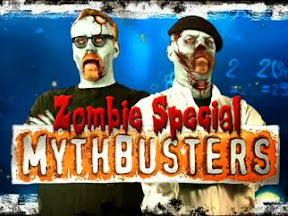 Please note that Suddenlink video-on-demand (VOD) and pay-per-view (PPV) are distinct services. Where VOD service is available, Suddenlink customers with digital receivers can find the VOD menu by tuning to Channel 1. In contrast, where PPV service is available, customers should be able to locate the PPV menu through their digital receiver’s interactive channel guide. Alternatively, if customers have trouble locating the PPV menu through the channel guide, they should be able to find it on one of the following channels, depending on where they receive service: 301, 500, 501, 621, 801, 811, 821 or 871. 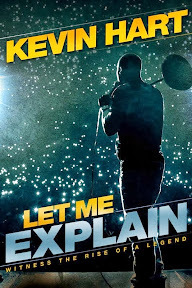 Comedy documentary “Kevin Hart: Let Me Explain” is now available through Suddenlink On Demand. Filmed at a sold-out performance at Madison Square Garden, “Let Me Explain” captures the laughter, energy and mayhem at one stop on standup comedian Hart’s 2012 concert tour. The tour, which spanned 10 countries and 80 cities, generated more than $32 million in ticket sales. Sci-fi thriller “After Earth’” and comedy-drama “Best Man Down” are now available through Suddenlink On Demand. In “After Earth,” Will and Jaden Smith play a futuristic father and his estranged son attempting to navigate an abandoned planet on which their space ship crashes. “Best Man Down” makes its debut On Demand, before opening in theaters. A drunken best man dies at a wedding, forcing the newlyweds to cancel their honeymoon and set off on a journey that reveals there was much more to their friend than met the eye. Justin Long and Addison Timlin star.